Galaxy S7 update: No, Android 9 Pie for S7 is NOT in plans! April 12, 2019: Guess what, now! The Android Pie is NOT COMING to Galaxy S7. That was a false alert. It’s wouldn’t have looked good even on April Fools day, but on April 11, it totally sucked! April 11, 2019: Guess what, against all expectations, Samsung looks set to release Android 9 Pie for Galaxy S7. 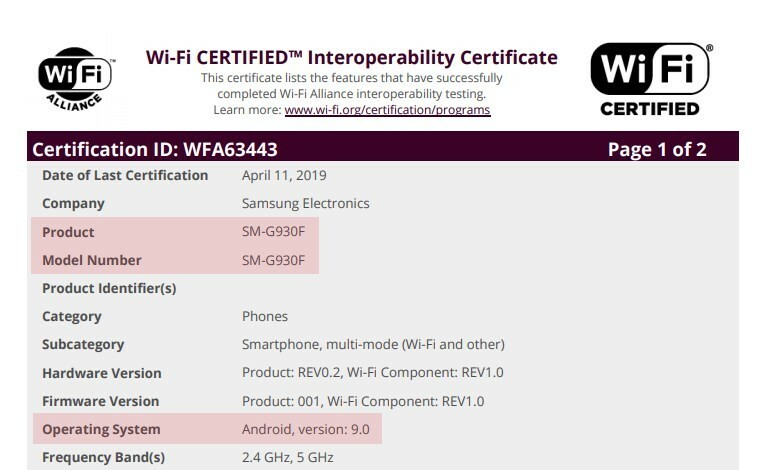 We just saw Wi-Fi Alliance certify Android 9 for all the variants of Samsung’s S7 smartphone. This does mean that the One UI update for the Galaxy S7 is right around the corner. Whether you can Galaxy S7 from Sprint, AT&T, Verizon, T-Mobile, US unlocked, global unlocked, or any other model, your device will receive Android 9 Pie. This above means that Samsung has prepared a test build of the Galaxy S7’s Android Pie update and has got it approved too. 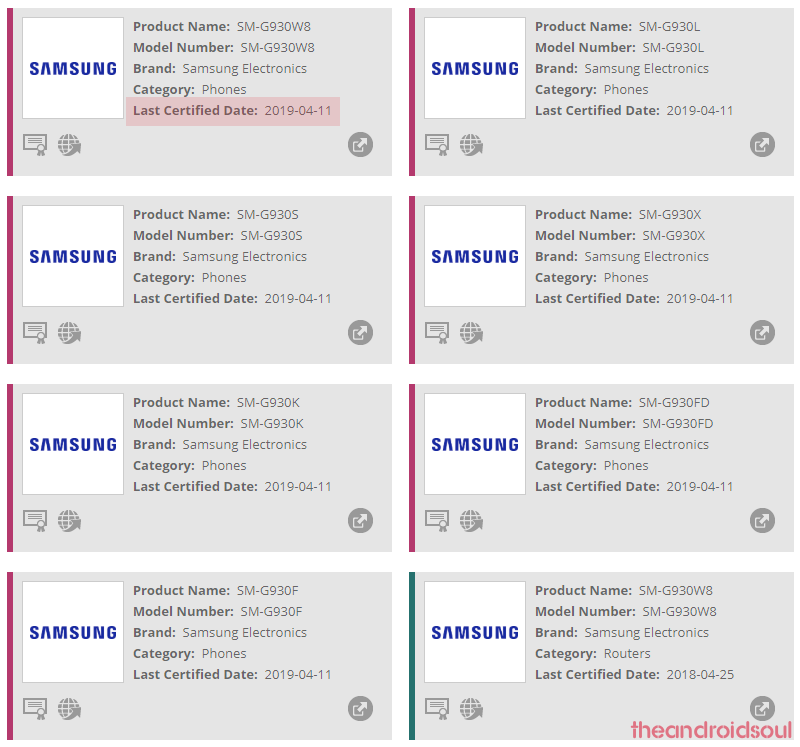 And here’s a list of all model nos that were certified today (April 11) for Android 9. April 02, 2019: Verizon users have a new software update rolling out as version G930VVRS9CSC1, which installs a new security patch for March 2019. The update is available over the air, meaning some users will get the OTA download notification ahead of others. 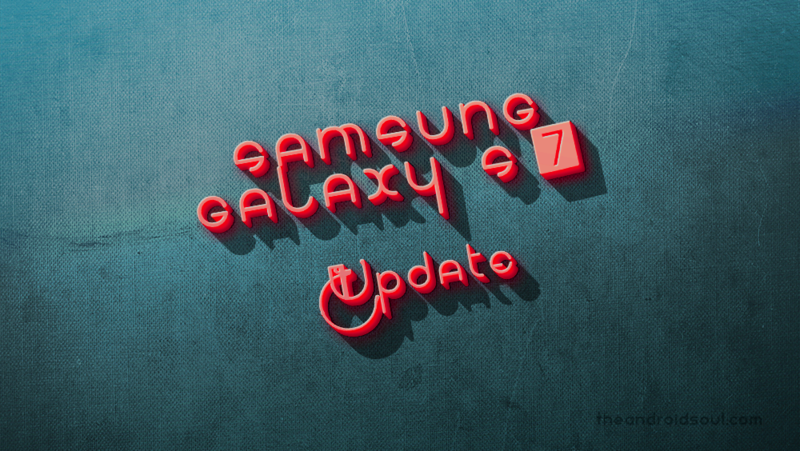 March 22, 2019: Although no longer Samsung’s favorite, the Galaxy S7 hasn’t been completely forgotten. Owners of the global dual-SIM variant are now receiving the latest Android security patch for March 2019. The update is rolling out to model SM-G930FD as version G930FXXS4ESC6 in India, Nepal, and Sri Lanka, while version G930FXXS4ESC3 is rolling out in Caucasus Countries, Ukraine, Kazakhstan, Russia, and Uzbekistan. March 15, 2019: AT&T has a new software update for the S7 as version G930AUCS9CSB1, which adds Advanced Messaging support and February 2019 security patch. The Oreo-based update started rolling out a couple of days ago, so more users should receive it over the weekend and early next week. 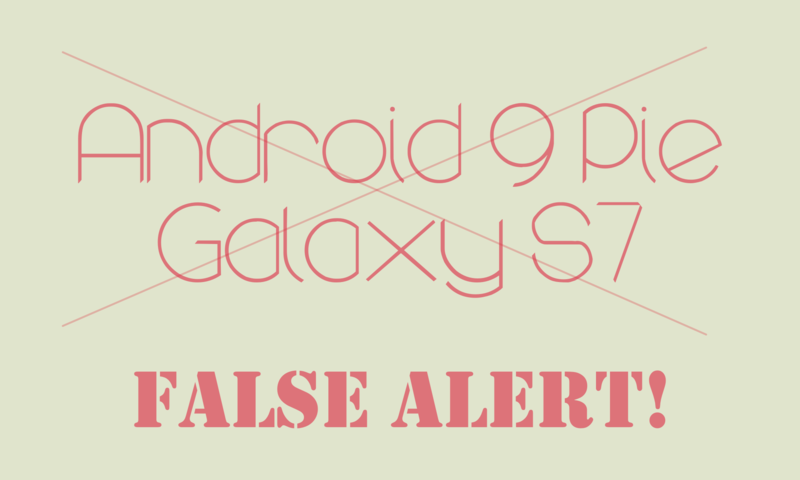 March 02, 2019: Samsung Galaxy S7 is receiving a new update on T-Mobile that installs a combination of January and February 2019 security patches as software version G930TUVS9CSB2. The OTA update is available right now, but it will take some time before all units receive the download notification, so be patient. Find all the Galaxy S7 update news here, along with firmware download links. You will find the links to download the Galaxy S7 firmware in each of the sections divided as per the model no., while there is a guide at the bottom of this article to help you install the update manually, pretty easily. We have also covered info on Android 9 Pie release for the Galaxy S7, separate for each and every model of the device as well as some highlights on the prospects of Samsung Android 9 Pie update. You will find the latest update version with its changelog for each of the Galaxy S7 variants at US carriers (T-Mobile, Sprint, AT&T and Verizon) in the table below, one for each of them. Here are the recent software updates for each of the major Galaxy S7 variants in a tabular form. 06 July 2017 G930AUCU4BQF3 Android 7.0 Calendar fixes, Samsung Knox fixes, stability improvements, Messaging fixes, Video calling improvements, and Android device security updates. June security patch. 23 May 2017 G930AUCS4BQE1 Android 7.0 May security patch. 17 Feb 2017 G930AUCU4BQA6 Android 7.0 Adds Samsung Cloud, and Samsung Pass, enhances network performance and installs the security patch, removes AT&T Address Book. Installs February security patch. 18 Nov 2016 G930AUCS4APK1 Android 6.0.1 Installs November security patch. 08 Nov 2016 G930AUCU4APJ4 Android 6.0.1 Adds Full-Screen Mobile Video Service, improves ePTT volume, fixes Voice Mail, failed voice calls and removes Milk Music, installs October security patch. 26 Sep 2016 G930AUCS4API2 Android 6.0.1 Installs September security patch. 25 Aug 2016 G930AUCS2APH1 Android 6.0.1 Installs August security patch. 27 Jul 2016 G930AUCU2APG1 Android 6.0.1 Adds WiFi calling, advanced messaging and messages backup and sync, installs July security patch. 18 Mar 2016 G930AUCS2APC2 Android 6.0.1 Adds DTV widget, improves the responsiveness of Home and volume keys, WiFi performance and other performance and security enhancements. 12 July 2017 G930PVPU4BQF3 Android 7.0 June 2017 Android Security Patches. 28 May 2017 G930PVPS4BQE1 Android 7.0 May security patch. 18 May 2017 G930PVPU4BQD2 Android 7.0 April security patch. 22 Feb 2017 G930PVPU4BQAA Android 7.0 Upgrade to Nougat. Also installs February security patch. 26 May 2016 G930PVPU2APE1 Android 6.0.1 Adds WiFi calling, improves battery life, fixes bugs and installs security patch. 28 Mar 2016 G930PVPU2APC5 Android 6.0.1 Fixes bugs and installs security patch. 11 Mar 2016 G930PVPU1APB5 Android 6.0.1 Pre-installed, first release. 05 Nov 2016 G930TUVU4APK1 Android 6.0.1 Adds domestic data improvements, fixes system crash and freeze issues, and installs October and November security patches. 11 Mar 2016 G930TUVU1APB6 Android 6.0.1 Pre-installed, first release. 28 Sep 2017 G930VVRU4BQH4 Android 7.0 Fixes issues with WiFi voice call drops, contact name not displaying, Mobile Hotspot not turning on, provides a notification panel option to delay app updates, improves OK Google command detection and Samsung S Voice. For KNOX corporate users, prevent file transfers via USB cable, makes available voicemail speed dialing and notifications, resolves issue with KNOX licence activation fail, and also improves One Talk voice call performance. 25 June 2017 G930VVRU4BQF2 Android 7.0 Installs June security patch. Fixes issues with Link sharing notification, MMS playback, Google apps in easy mode, restart/start, Visual Voicemail playback, HD Voice (WiFi calling), Google Maps (Samsung Knox related error), and Random reset fix for VPN users. 23 May 2017 G930VVRS4BQC9 Android 7.0 May security patch. 22 Sep 2016 G930VVRS4APH1 Android 6.0.1 Improves device performance, fixes known issues and Installs the latest security patches. 10 Sep 2016 G930VVRU2APG5 Android 6.0.1 Adds support for NextRadio and Barcode Beaming for UPC codes and Improves HD Voice performance. Samsung Galaxy S7 won’t receive the One UI update as that is part of the Samsung’s Android Pie update. We hope the development community is able to port the One UI over to S7 from the S8, S9 or S10 ROM, but there’s no guarantee of that happening. Do let us know if you have got any questions about the S7 Oreo rollout, or anything else regarding the S7 updates, in the comments box right below.